It was Easter weekend and most European countries take Good Friday and Easter Monday off, so I decided that I was going to take advantage of this 4 day weekend and travel throughout the far reaches of the country. I bought my Swiss Travel Pass and was granted free access to all public transportation for 4 days straight. 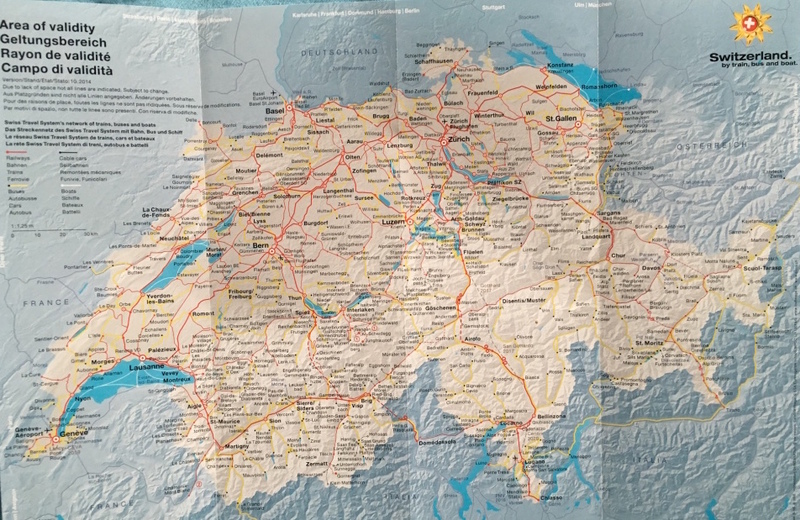 I hopped on the early train Friday morning and rode it from Geneva (at the bottom) to Lausanne, to Bern, and then finally to Lucerne (at the top). At each connecting train station, I ventured out of the confining train car and wandered around checking out the various cities. It was about 3 hours into my travels when it happened… The passing cities began to have strange names, the street signs were confusing, and the conductors intercom became incomprehensible. I realized that we had crossed the invisible boundary which separated French Switzerland from German Switzerland. I tried to stay confident as I exited the train at the next city to explore. I didn’t stray far, and upon my return to the station to find my next train connection, I realized that the city names were different on the map. This made the task of finding the correct train platform incredibly difficult. I quickly realized that the only German words I knew were swear words or unhelpful phrases like “Gutentag” and “Ich liebe dich.” Granted, saying “hello, I love you” could potentially have proved helpful, but instead I just hopped on a train and hoped it was the one heading for Lucerne…it wasn’t… Thank god I bought the unlimited travel pass. 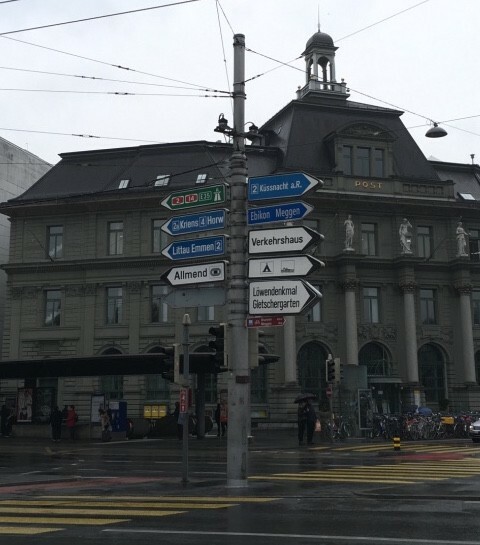 Eventually I made it to Lucerne and began my search for the hostel in the pouring rain. It’s amazing how much I apparently rely on GoogleMaps and GPS, because it became shockingly clear that my access to the internet was the only difference between me having shelter and me wandering aimlessly around in the rain. The good news about wandering around in a big city in a developed country? STARBUCKS. 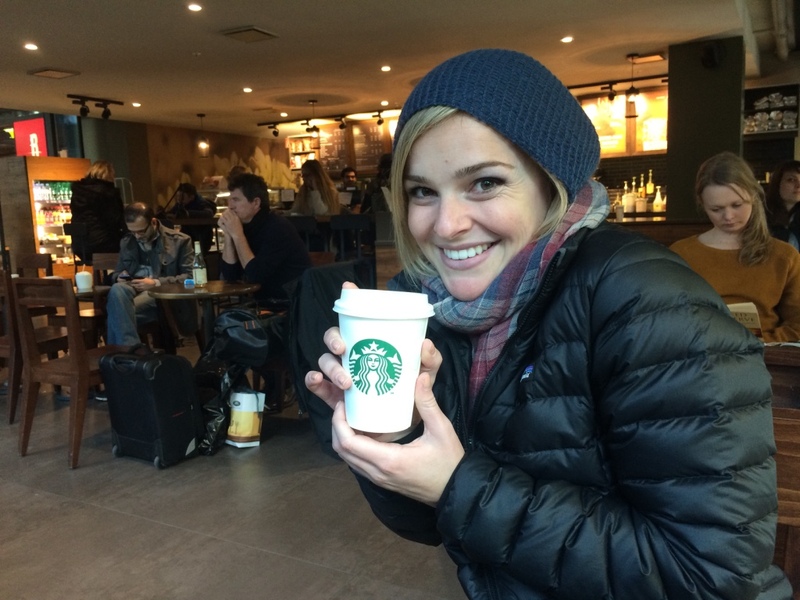 I found a Starbucks, paid $8 for a small hot chocolate and used their free wifi to find my hostel’s location. Things started looking up from then on. The weather cleared and I adventured in and around Lucerne for a day before heading off to Zurich. 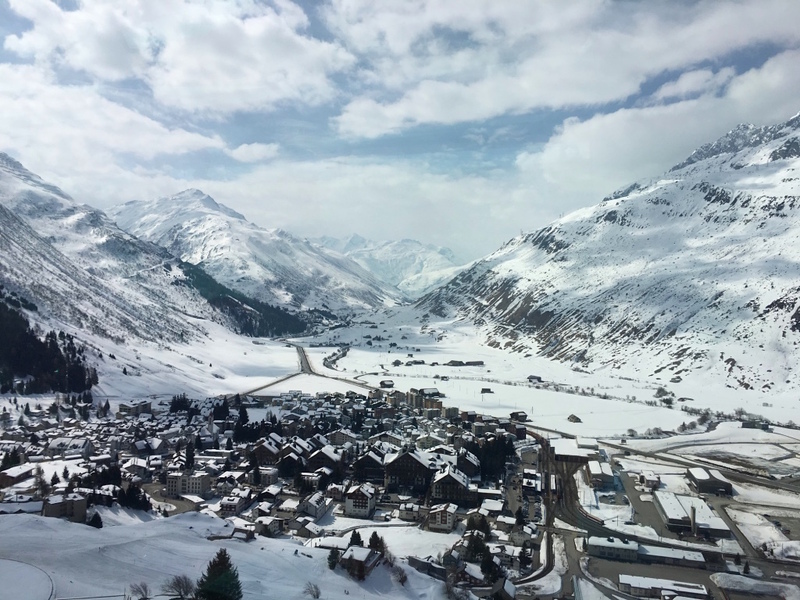 Then I did the same in Zurich before heading out to Chur where I caught a scenic route train called the Glacier Express, which carried me through the heart of the Swiss Alps on it’s way to Zermatt. 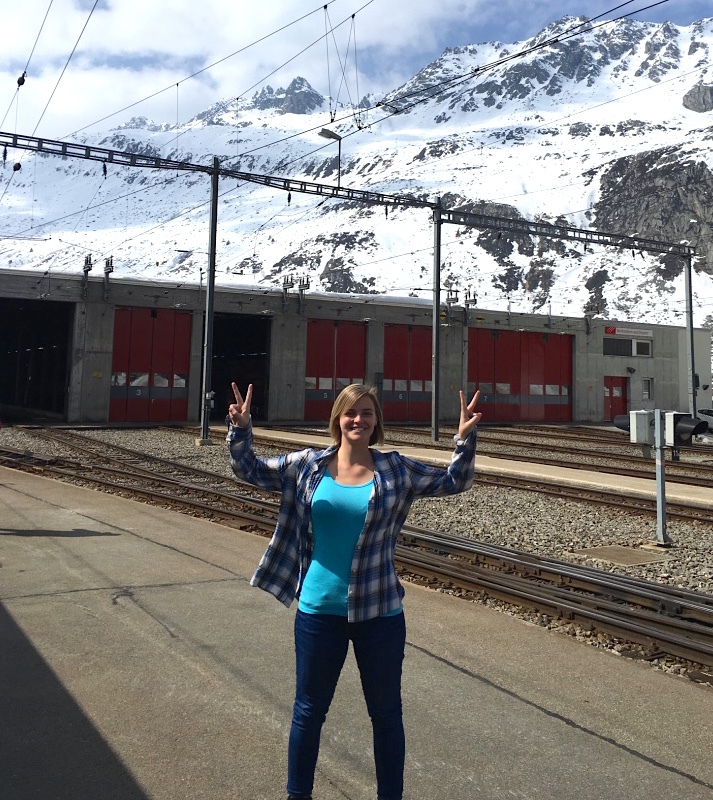 Arriving in Zermatt, I jumped off the train and was immediately greeted by the awe-inspiring view of the snow capped Matterhorn. 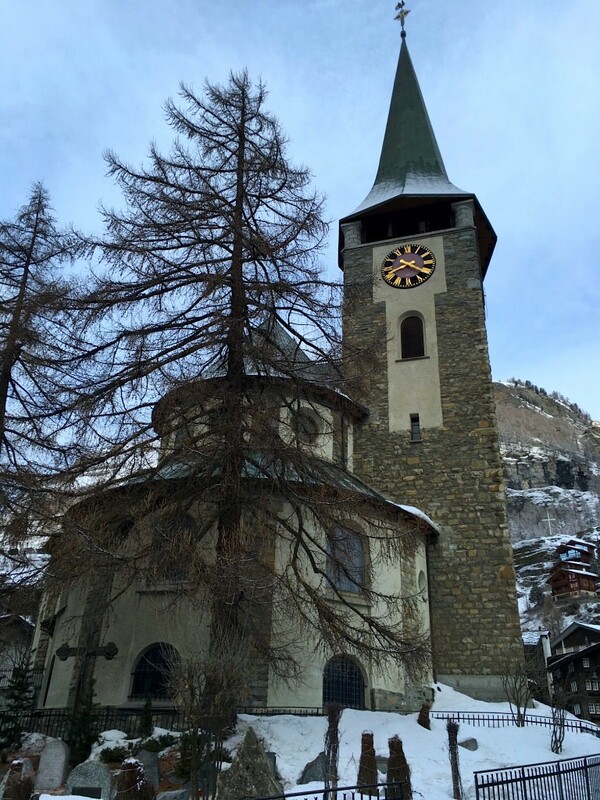 To spare any envy, I won’t go into detail about the snow-frosted chalets with smokey chimneys, or the quaint car-free cobblestone streets, or the charming chiming of bells from the picturesque church wedged amongst the magnificent Alps… All in all, I had an amazing Easter weekend exploring the Swiss countryside. I took way too many pictures, ate way too many chocolate bunnies, and was humbly reminded of my linguistic shortcomings. I’m already looking forward to my next adventure, but until then, my presentation of “International Regulations on the Conservation and Sustainable Use of Marine Biological Diversity in Areas Beyond National Jurisdiction” is calling my name. I must return to the reality of why I find myself in this beautiful country in the first place. This upcoming Monday marks the day that I will speak on behalf of the IUCN at the Natural History Museum in Geneva. Assuming that I don’t pass out from stage fright and knock myself unconscious, I will write again soon.